Today is Mrs. Adrian’s birthday! This year, she celebrates her birthday in India. She was supposed to start a new treatment today (since chemotherapy didn’t work) but her doctor said that they would postpone it to tomorrow. I love you Ma. Happy birthday. I have kept a slice of my birthday cake that we can share when you are back. 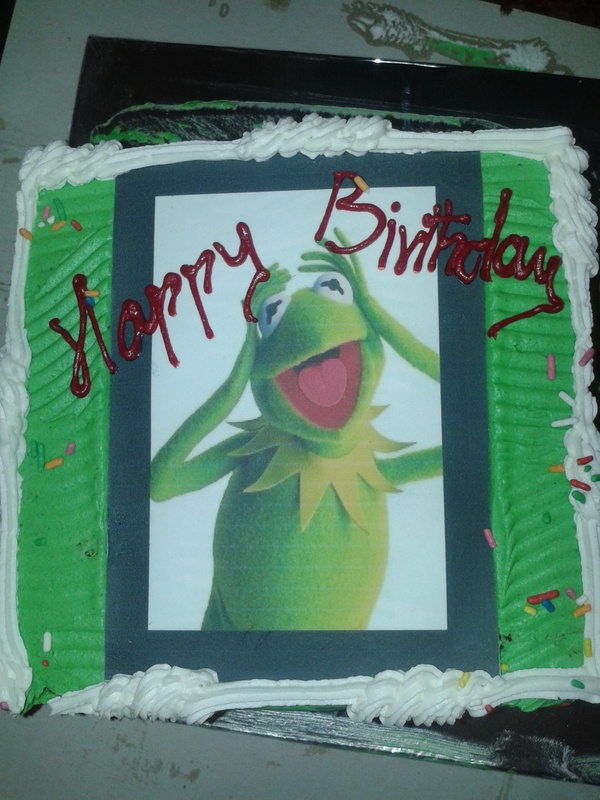 Kermit screams happy birthday – my birthday cake!